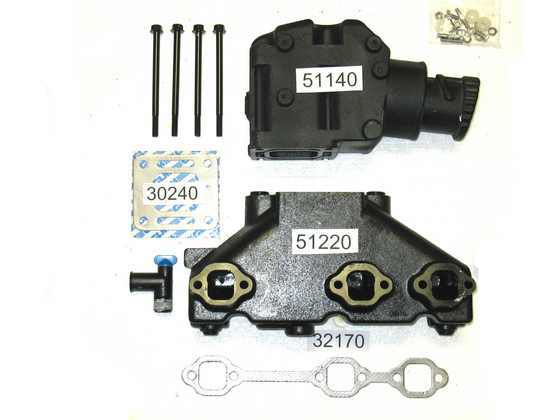 P/N 51220-51140 Manifold assembly kit - Replaces Mercury 99746A17 and 807988A2. 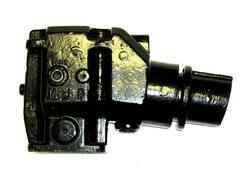 Includes installation hardware and mounting gaskets. 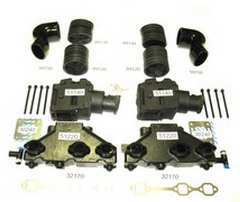 P/N 58222 Complete V6 manifold kit for both port and starboard with gaskets, screws and drain plugs. For 4.3L GM/Chevy motors, center rise style. 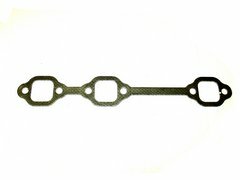 P/N 32170 Exhaust gasket for P/N 51220. P/N 51140 Replacement 4" 7 degree elbow assembly without spacer. Includes mounting hardware and gasket. P/N 58992 Complete conversion kit from 1 piece exhaust assembly to 2 piece center rise style. P/N 15201 Engine water re-circulating pump for GM 262 CID-4.3L small block motor.